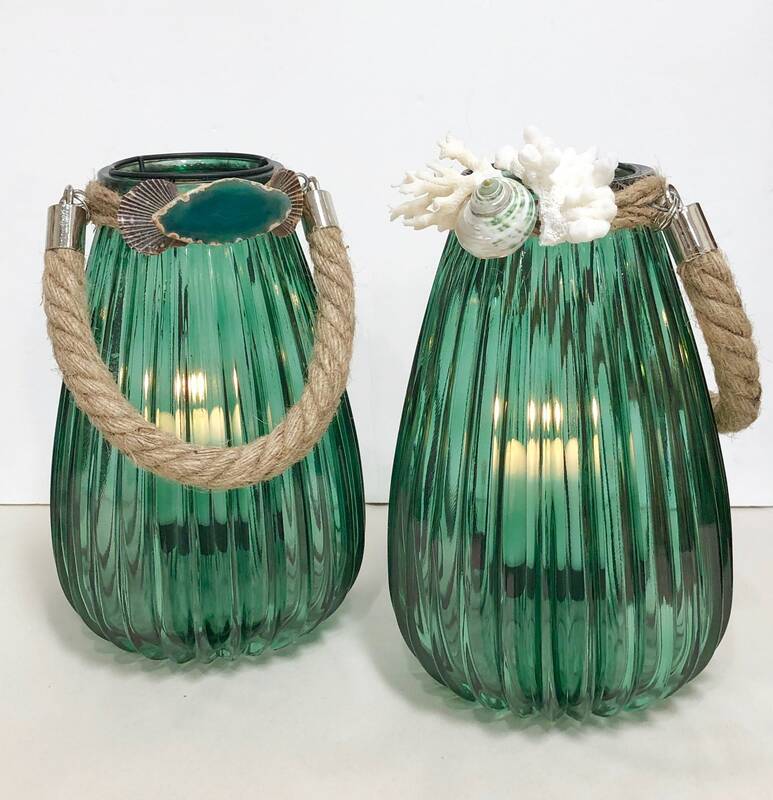 These beautiful, emerald green fluted glass lanterns have thick jute rope handles that are secured with silver rings. 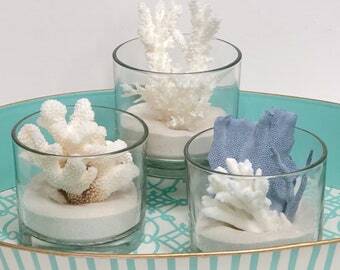 I've decorated them with corals, shells, starfish and one has a beautiful piece of green agate. There's a lift-out metal piece that holds a votive candle. 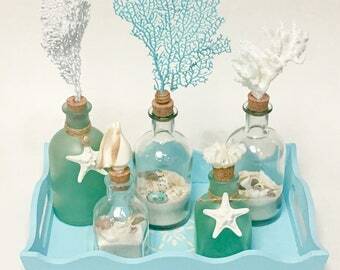 Beach Decor - Seashells, Coral and Starfish in Glass Cylinders 8", 12" and 16"